It’s bad enough that the US government has the authority to revoke your passport if you have a “seriously delinquent tax debt.” That little gem was buried in the 2015 Highway Funding Bill, which President Obama signed in December. Revoking citizenship is a time-honored way of dealing with political enemies. In ancient Rome, you could lose your citizenship for theft, murder, or treason. Once you lost your citizenship, you couldn’t get it back. Roman citizens couldn’t be sentenced to death, but once you lost that status, the state could kill you at will. More recently, Nazi Germany stripped millions of its citizens of their nationality. The Citizenship Law of 1935 held that only individuals with a German bloodline qualified for German citizenship. Everyone else, including millions of Jews, Roma, and anyone with dark skin, became mere subjects of the state. The law provided a legal basis for the imprisonment and murder of hundreds of thousands of stateless former German citizens and later, millions of (mainly) Polish and Russian Jews. Today, the UK is the undisputed champion of this strategy. Since 2006, an amendment to the British Nationality Act allows the home secretary to revoke British citizenship whenever “deprivation is conducive to the public good.” This process allows all deliberations to occur secretly. The UK has stripped dozens of people of their citizenship, including at least five native-born citizens. At least two have already been killed in drone strikes, and a third was secretly deported to the US. Canada has also amended their nationality laws to ease the revocation of citizenship, and Australia is on the verge of doing so. Now, with Senator Cruz’s Expatriate Terrorist Act (S. 247), the US could join them. Americans could lose their citizenship in a secret State Department proceeding. There would be no need for a trial, conviction, or independent review. In theory, you can appeal the decision, but don’t count on getting your citizenship back by going to court. Once the State Department claims you’re involved in terrorist activities, it’s pretty much “game over.” Proof of this came last year, after a consular official denied the husband of a US citizen a visa due to his alleged terrorist activities. The official provided no support for the decision. The wife filed a court appeal that eventually came before the Supreme Court. It ruled in a 5–4 decision last June that the government has the absolute power to deny visas for any reason. No judicial review is available to those affected by the decisions, erroneous or otherwise, of consular officers. You might be wondering what “material assistance” to a terrorist group is. The Cruz proposal doesn’t define it, but another law, the Terrorist Material Support statute, forbids providing “material support” to anyone engaged in an offense identified as a federal crime of terrorism. Assuming “material assistance” is the same as “material support,” the Supreme Court has applied a clear, albeit terrifyingly broad definition. You read that correctly. Non-violent actions that have nothing to do with terrorism constitute material support. 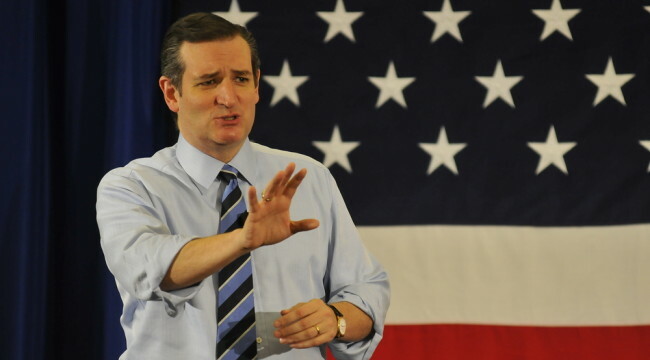 If the Cruz proposal becomes law, I have little doubt that there will be a flood of citizenship revocations. Many will no doubt be related to actual terrorist acts, of course. But any American involved in organizations such as Doctors without Borders (Médecins Sans Frontières) that operate in countries where terrorism is prevalent could also lose their citizenship. American missionaries or anyone else providing any kind of medical or other service to individuals or groups deemed “terrorists” or “terrorist organizations” could likewise be affected. From the government’s standpoint, of course, this strategy is very useful. Once you lose your citizenship, you also lose your ability to travel internationally, as well as any diplomatic protections your country extends to its citizens. You must apply for a visa to reenter your own country, which will now be denied due to your alleged “terrorist activities.” And if you don’t already have another citizenship, you become stateless – a person without a country. Stripping citizenship from you also makes it easier from a legal standpoint for your (former) government to assassinate you. After all, it’s now acting against an “enemy alien.” That avoids inconvenient due process requirements such as a trial or criminal conviction… much less “innocent until proven guilty.” This is the strategy the UK has used increasingly frequently since it enacted amendments to its Citizenship Law in 2006. There’s no reason to think the US will be any different. Let’s face it: from the government’s perspective, being able to revoke the citizenship of “enemies of the state” and subsequently murder them is a pretty handy power to possess. The global trend is clear. Governments are using passport revocation and the loss of nationality as a weapon against their political enemies. And with the Cruz bill, the US is about to join this club. Given this reality, it only makes sense to obtain a second nationality and passport, “just in case. P.S. I originally post this at my website, right here.